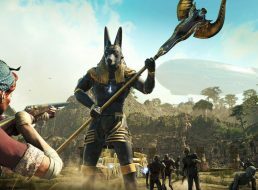 Home » Archive by category "Mummy games"
Despite how popular the ancient Egyptian theme and Egyptian mythology is, there aren’t as many games which feature mummies as one would hope. But, when they do come around, we love trying to sneak past or cut down the bandage-wrapped undead. Affected: The Manor Review: Do you dare walk through this haunted house? Twitter for news & game images. Slotcatalog for horror slot games and slot news. Also available in HI. Gameloot for easily acquiring games to review them here in India. Roughridecreations.com - Horror games that you won't dare to play!